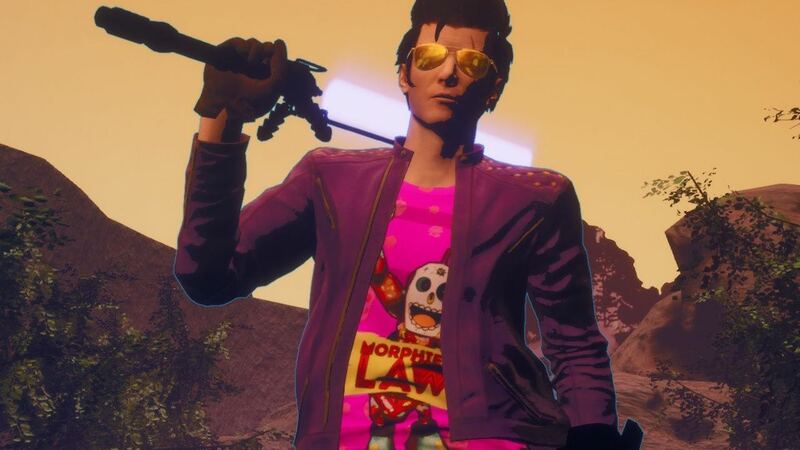 Suda51 and Grasshopper Manufacture have revealed that Travis Touchdown can wear a Morphies Law t-shirt in No More Heroes: Travis Strikes Again. This becomes the latest collaboration with an indie developer, with the Nintendo Switch exclusive to already include t-shirts emblazoned with Hotline Miami, Shovel Knight and Hyper Light Drifter designs. No More Heroes: Travis Strikes Again takes place seven years after the events of No More Heroes, and picks up with The Bad determined to exact his revenge on Travis Touchdown for murdering his daughter, Bad Girl. Travis Strikes Again: No More Heroes will release exclusively on the Nintendo eShop for Nintendo Switch worldwide in 2018.